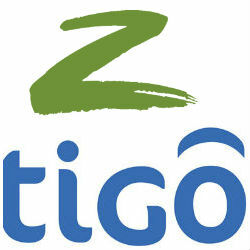 Millicom International Cellular (MIC) that trades as Tigo announced recently that it has signed a Share Purchase Agreement to acquire 85% stake in Zanzibar Telecom (Zantel) from Etisalat Group. The Government of Zanzibar will continue to own the remaining 15% of the shares in Zantel. MIC is looking forward to working with the Government of Zanzibar as a partner and as a shareholder to continue to develop the exciting opportunities for Zantel and its customers. Under the terms of the agreement MIC will pay the total cash consideration of USD 1 dollar and assume total debt obligations of USD 74 million. MIC intends to retain and continue to operate the Zantel brand, while delivering cash flow growth by leveraging technical and operational efficiencies. MIC expects the Earnings Before Interest, Taxes, Depreciation and Amortization (EBITDA) of Zantel to reach USD 25 million by 2019 through a combination of bringing new products and services to the existing customer base and delivering greater efficiencies. The agreement allows for an adjustment to the total consideration if that target is not reached by the end of 2019. Zantel is the leading mobile telecom operator on the islands of Zanzibar with gross revenues of USD 82 million in 2014 and 1.7 million subscribers across Zanzibar and Tanzania. Zantel has an approximate 5% share of the Tanzania mobile market. As of December 2014, Tanzania mobile networks opertaors included Vodacom, Airtel, Tigo, Zantel, TTCL and Benson with 37 %, 30 %, 27 %, 5 %, 1 % and 0 % market share respectively.